The wired microphones have been with us for about 100 years, but the wireless aren’t new either – they were first used in 1949. When we talk about these types of microphones, the question “which is better” is not the best one to ask. Both types of microphones have their advantages and disadvantages. I’ll try to list all of them in this article. A wired microphone is connected to an amplifier with a cable, so there is a small chance of interference and you get the best possible sound. A signal travels through a cable, so you don’t have to worry about dead spots. A wired microphone takes its energy straight from the recording equipment. This energy is known as Phantom power. Wired microphones are easier to set up. With wireless mics, you have to be sure that all the receivers are set to a different channel and other signals (radio or TV) don’t interfere with the signal of a microphone. With wired microphones, there are fewer things that can go wrong. It’s both an advantage and disadvantage of this type of microphones. It’s an advantage because you know the exact range, and you know that you will always get a good quality sound unless the cable is damaged. And you can get bigger range by extending the cable. But then there is a likelihood of it being tangled. The other disadvantage of a very long cord is that the signal can be compromised, especially in the high frequencies. 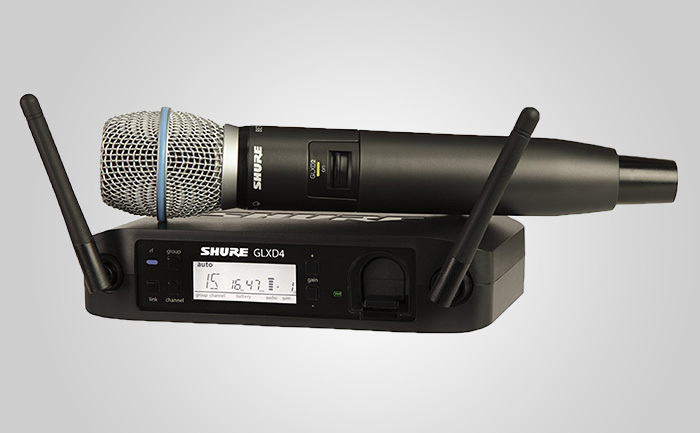 Wireless microphones usually cost more than their wired counterparts. They also use a battery, so there is another ongoing expense you have to consider. There are more things that can go wrong with wireless microphones than wired ones. Interference, intermodulation distortion and drops can happen for different reasons. With wired mics, when there is a high-quality cable you won’t have to deal with these issues. This is probably the biggest advantage of a wireless mic. You can walk around the stage without the need to deal with cables. This is not only more comfortable but also safer. The more expensive wireless microphones have increased range, so there is a small risk of a poor signal during a performance. With wireless microphones, you can avoid cable tangling. Fewer microphones that are visible make everything look cleaner and save you setup time. Some artists say that wireless microphones are less prone to feedback noise. Depending on where you are going to use your microphone, buying the most expensive may not always be the best option. You have many options to consider, from cheap Hotec 25, more expensive Sound Town, which offers 300 feet range to the high-quality Shure BLX288. If you want to learn more about high-quality wired microphones check our comparison.